Protestant Reformers, upholding the doctrine of justification by faith, held that repentance consisted in a change of the whole moral attitude of the mind and soul (Matthew 13:15; Luke 22:32), and that the divine forgiveness preceded true repentance and confession to God without any reparation of "works". Rather, "God's kindness is meant to lead you to repentance" (Romans 2:4, ESV). In his Of Justification By Faith, Calvin says: "without forgiveness no man is pleasing to God." Nonetheless, in traditions formed by a Calvinist or Zwinglian sensibility there has traditionally been a stress on reconciliation as a precondition to fellowship. And because it is requisite, that no man should come to the holy Communion, but with a full trust in God’s mercy, and with a quiet conscience; therefore, if there be any of you, who by this means [that is, by personal confession of sins] cannot quiet his own conscience herein, but requireth further comfort or counsel; let him come to me, or to some other discreet and learned Minister of God’s Word, and open his grief; that by the ministry of God’s holy Word he may receive the benefit of absolution, together with ghostly counsel and advice, to the quieting of his conscience, and avoiding of all scruple and doubtfulness. The status of confession as a sacrament is stated in Anglican formularies, such as the Thirty-Nine Articles. Article XXV includes it among "Those five commonly called Sacraments" which "are not to be counted for Sacraments of the Gospel . . . for that they have not any visible sign or ceremony ordained of God." It is important to note, however, that "commonly called Sacraments" does not mean "wrongly called Sacraments;" and that the Article merely distinguishes confession and the other rites from the two great Sacraments of the Gospel. Until the Prayer Book revisions of the 1970s and the creation of Alternative Service Books in various Anglican provinces, the penitential rite was always part of larger services. Prior to the revision, private confessions would be according to the form of Ministry to the Sick. The form of absolution provided in the order for the Visitation of the Sick reads, "Our Lord Jesus Christ, who hath left power to his Church to absolve all sinners who truly repent and believe in him, of his great mercy forgive thee thine offences: And by his authority committed to me, I absolve thee from all thy sins, In the Name of the Father, and of the Son, and of the Holy Ghost. Amen." Despite the provision for private confession in every edition of the Book of Common Prayer, the practice was frequently contested during the Ritualist controversies of the later nineteenth century. Many Methodists, like other Protestants, regularly practice confession of their sin to God Himself, holding that "When we do confess, our fellowship with the Father is restored. He extends His parental forgiveness. He cleanses us of all unrighteousness, thus removing the consequences of the previously unconfessed sin. We are back on track to realise the best plan that He has for our lives." The Lutheran Church teaches two key parts in repentance (contrition and faith). In mainstream Lutheranism, the faithful often receive the sacrament of penance from a Lutheran priest before receiving the Eucharist. Prior to going to Confessing and receiving Absolution, the faithful are expected to examine their lives in light of the Ten Commandments. The order of Confession and Absolution is contained in the Small Catechism, as well as other liturgical books of the Lutheran Churches. 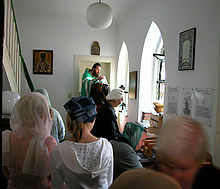 Lutherans typically kneel at the communion rails to confess their sins, while the confessor—a Lutheran priest—listens and then offers absolution while laying their stole on the penitent's head. 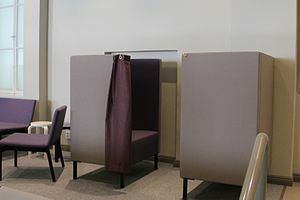 Clergy are prohibited from revealing anything said during private Confession and Absolution per the Seal of the Confessional, and face excommunication if it is violated. In Laestadian Lutheranism penitent sinners, in accordance with the doctrine of the priesthood of all believers, practice lay confession, "confess[ing] their transgressions to other church members, who can then absolve the penitent." The Roman Catholic Church uses the term "penance" in a number of separate but related instances: (a) as a moral virtue, (b) as a sacrament, (c) as acts of satisfaction, and (d) as those specific acts of satisfaction assigned the penitent by the confessor in the context of the sacrament. These have as in common the concept that he who sins must repent and as far as possible make reparation to Divine justice. Penance is a moral virtue whereby the sinner is disposed to hatred of his sin as an offence against God and to a firm purpose of amendment and satisfaction. The principal act in the exercise of this virtue is the detestation of one's own sin. The motive of this detestation is that sin offends God. Theologians, following Thomas Aquinas (Summa III, Q. lxxxv, a. 1), regard penance as truly a virtue, though they have disagreed regarding its place among the virtues. Some have classed it with the virtue of charity, others with the virtue of religion, Bonaventure saw it as a part of the virtue of justice. Cajetan seems to have considered it as belonging to all three; but most theologians agree with Aquinas that penance is a distinct virtue (virtus specialis). Penance as a virtue resides in the will. Since it is a part of the cardinal virtue of justice, it can operate in a soul which has lost the virtue of charity by mortal sin. However it cannot exist in a soul which has lost the virtue of faith, since without faith all sense of the just measure of the injustice of sin is lost. It urges the individual to undergo punishment for the sake of repairing the order of justice; when motivated by even an ordinary measure of supernatural charity it infallibly obtains the forgiveness of venial sins and their temporal punishments; when motivated by that extraordinary measure which is called perfect charity (love of God for his own sake) it obtains the forgiveness of even mortal sins, when it desires simultaneously to seek out the Sacrament of penance as soon as possible, and of large quantities of temporal punishment. Penance, while a duty, is first of all a gift. No man can do any penance worthy of God's consideration without His first giving the grace to do so. In penance is proclaimed mankind's unworthiness in the face of God's condescension, the indispensable disposition to God's grace. For though sanctifying grace alone forgives and purges sins from the soul, it is necessary that the individual consent to this action of grace by the work of the virtue of penance, Penance helps to conquer sinful habits and builds generosity, humility and patience. The following is a brief consideration of Our Lady's four requests: penance, prayer, devotion to her Immaculate Heart and the brown scapular. To those seeking help or in suffering please refer yourself through said means. "The process of repentance and conversion was described by Jesus in the parable of prodigal son." 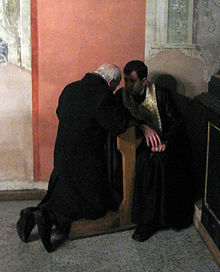 In the Catholic Church, the sacrament of penance (also called reconciliation, forgiveness, confession and conversion) is one of the two sacraments of healing: Jesus Christ has willed that by this means the Church should continue, in the power of the Holy Spirit, his work of healing and salvation. Reconciliation with God is both the purpose and effect of this sacrament. Through the priest who is the minister of the sacrament and who acts not in his own name but on behalf of God, confession of sins is made to God and absolution is received from God. In this sacrament, the sinner, placing himself before the merciful judgment of God, anticipates in a certain way, the judgment to which he will be subjected at the end of his earthly life. Essential to the sacrament are acts both by the sinner (examination of conscience, contrition with a determination not to sin again, confession to a priest, and performance of some act to repair the damage caused by sin) and by the priest (determination of the act of reparation to be performed and absolution). among the penitent's acts contrition holds first place. Serious sins (mortal sins) must be confessed within at most a year and always before receiving Holy Communion, while confession of venial sins also is recommended. The act of penance or satisfaction that the priest imposes helps the penitent to overcome selfishness, to desire more strongly to live a holy life, to be closer to Jesus, and to show to others the love and compassion of Jesus. It is part of the healing that the sacrament brings. "Sin injures and weakens the sinner himself, as well as his relations with God and neighbour. Absolution takes away sin, but it does not remedy all the disorders sin has caused. Raised up from sin, the sinner must still recover his full spiritual health by doing something more to make amends for the sin: he must 'make satisfaction for' or 'expiate' his sins." This is done by prayer, charity, or an act of Christian asceticism. The rite of the sacrament requires that "the kind and extent of the satisfaction should be suited to the personal condition of each penitent so that each one may restore the order which he disturbed and through the corresponding remedy be cured of the sickness from which he suffered." It may consist of prayer, works of mercy, service of neighbor, voluntary self-denial, sacrifices, "and above all the patient acceptance of the cross we all must bear. Such penances help configure us to Christ, who alone expiated our sins once for all." In the 1966 apostolic constitution Paenitemini Pope Paul VI said, "Penance therefore—already in the Old Testament—is a religious, personal act which has as its aim love and surrender to God: fasting for the sake of God, not for one's own self... [The Church] reaffirms the primacy of the religious and supernatural values of penitence (values extremely suitable for restoring to the world today a sense of the presence of God and of His sovereignty over man and a sense of Christ and His salvation). In Paenitemini it is affirmed that "[b]y divine law all the faithful are required to do penance." "As from the fact of sin we Christians can claim no exception, so from the obligation to penance we can seek no exemption." Chapter 8 of the Didache enjoined Christians to fast every Wednesday and Friday. The conversion of heart can be expressed in many ways. "Scripture and the Fathers insist above all on three forms, fasting, prayer, and almsgiving, which express conversion in relation to oneself, to God, and to others." Also mentioned are efforts at reconciliation with one's neighbor, and the practice of charity "which covers a multitude of sins" as in 1 Peter 4:8. “Taking up one’s cross each day and following Jesus is the surest way of penance." In the Liturgical year, the seasons of Advent and Lent are particularly appropriate for penitential exercises such as voluntary self-denial and fraternal sharing. Under canon 1250 of the 1983 Code of Canon Law "The penitential days and times in the universal Church are every Friday of the whole year and the season of Lent." Canon 1253 stated "The conference of bishops can determine more precisely the observance of fast and abstinence as well as substitute other forms of penance, especially works of charity and exercises of piety, in whole or in part, for abstinence and fast." In 2001 the United States Conference of Catholic Bishops, in a document titled, “Penitential Practices for Today’s Catholics” reiterated their decision to allow U.S. Catholics to substitute another form of penance for abstinence from meat on the Fridays outside of Lent. While the document includes a list of suggested penitential practices, the selection of a Friday penance is left to the individual. In 2011, Catholic bishops in England and Wales reversed their earlier decision to permit Catholics to practice a penance other than meat abstinence on Fridays. They said, in part: “The bishops wish to re-establish the practice of Friday penance in the lives of the faithful as a clear and distinctive mark of their own Catholic identity. … It is important that all the faithful be united in a common celebration of Friday penance. Note that the duty to perform the tasks of your state in life takes precedence over the law of fasting in the precepts of the Catholic Church. If fasting honestly causes one to be unable to fulfill his/her required tasks, it is uncharitable to fast — the law of fasting would not apply. Many acts of penance carry an indulgence, which may be applied in behalf of the souls departed. God alone knows what remains to be expiated. The Church in granting an indulgence to the living exercises her jurisdiction; over the dead she has no jurisdiction and therefore makes the indulgence available for them by way of suffrage (per modum suffragii), i.e. she petitions God to accept these works of satisfaction and in consideration thereof to mitigate or shorten the sufferings of the souls in Purgatory. The Indian spiritual teacher Meher Baba stated that "When penance is carefully nourished and practiced, it inevitably results in the mental revocation of undesirable modes of thought and conduct, and makes one amenable to a life of purity and service." ^ A Service of Healing II, after the "Confession and Pardon", states "A Confession and Pardon from 474–94 or A Service of Word and Table V or UMH 890–93, or an appropriate psalm may be used." The words noted here are thus taken from page 52 of the Book of Worship, which details the Service of Word and Table V, specifically the conclusion of the part of the rite titled "Confession and Pardon". ^ Brackney, William H. (28 January 2010). Studying Christianity: The Critical Issues. Bloomsbury Publishing. p. 81. ISBN 9781441177315. Notably among Protestants, the Church of England practices a non-sacramental rite of penance. ^ Kidder, Annemarie S. (1 March 2010). Making Confession, Hearing Confession: A History of the Cure of Souls. Liturgical Press. p. 381. ISBN 9780814657294. The rite of private confession in the Episcopal Church incorporates and combines elements of both Lutheran and Roman Catholic practices. Chisholm, Hugh, ed. (1911). "Penance" . Encyclopædia Britannica. 21 (11th ed.). Cambridge University Press. p. 84. ^ a b "Augsburg Confession, Article XII: Of Repentance". Bookofconcord.org. Retrieved 2012-09-20. ^ 1662 BCP: The Order for the Administration of the Lord's Supper, or Holy Communion, p. 8 of 17. ^ The Thirty-Nine Articles, Article XXV: Of it giving thanks and praise. ^ 1662 BCP: The Order for the Visitation of the Sick, p. 4 of 7. ^ See, for example, J.C. Ryle, "The Teaching of the Ritualists Not the Teaching of the Church of England, n.d.
^ Underwood, Ralph L. (1 October 1992). Pastoral Care and the Means of Grace. Fortress Press. p. 76. ISBN 9781451416466. The reason is simply that Wesley assumed the validity of Anglican practice in his day as reflected in the 1662 Book of Common Prayer. His later comments on the priestly office substantiate this. Just as preaching in the Methodist movement was not a substitute for Holy Communion, so for Wesley class meetings did not take the place of personal confession and absolution. ^ Morris, F.O. (1882). The Ghost of Wesley [extracts from his writings]. p. 10. Retrieved 27 April 2014. ^ Langford, Andy (1 October 1992). The United Methodist Book of Worship. Abingdon Press. ISBN 0687035724. ^ F. Belton Joyner Jr. (1 September 2010). The Unofficial United Methodist Handbook. Abingdon Press. p. 102. ISBN 9781426724961. Confession is an "office of the keys" (see Matthew 16:19) belong to all baptized persons, that is, anyone may confess and any believer may pronounce the word of forgiveness. A declaration of forgiveness is permanent and binding because it comes from Jesus Christ himself. ^ Schwass, Margot (2005). Last Words: Approaches to Death in New Zealand's Cultures and Faiths. Bridget Williams Books. p. 130. ISBN 9781877242342. Occasionally, they may ask the minister to anoint them, hear their confession or absolve them of sin. (In fact, confession and absolution do not have to be done by an ordained minister: one of the cornerstones of Methodism is 'every member is a minister'.) Wherever necessary, the minister encourages the dying person to seek reconciliation with and forgiveness from family members or friends. ^ a b Hickman, Hoyt (2014). "Prayers of Confession". Interpreter Mazine. The United Methodist Church. Archived from the original on 28 April 2014. Retrieved 27 April 2014. ^ This Holy Mystery: A United Methodist Understanding of Holy Communion. The United Methodist Church. 1 April 2005. p. 9. ISBN 088177457X. ^ Bishop Dr Wee Boon Hup (6 September 2013). "Must I confess my sins?". The Methodist Church in Singapore. Retrieved 27 April 2014. ^ Kolb, Robert (2008). Lutheran Ecclesiastical Culture: 1550 - 1675. Brill Publishers. p. 282. ISBN 9789004166417. The North German church ordinances of the late 16th century all include a description of private confession and absolution, which normally took place at the conclusion of Saturday afternoon vespers, and was a requirement for all who desired to commune the following day. ^ a b c Wendel, David M. (1997). Manual for the Recovery of a Parish Practice of Individual Confession and Absolution (PDF). The Society of the Holy Trinity. pp. 2, 7, 8, 11. Hanna, Edward (1911). "Penance" . In Herbermann, Charles (ed.). Catholic Encyclopedia. 11. New York: Robert Appleton Company. ^ a b "The Vitue of Penance". www.franciscan-archive.org. ^ ""Virtues", The Roman Catholic Diocese of Altoona-Johnstown". ^ "Catechism of the Catholic Church". ccc.usccb.org. ^ "Celebration of the Christian Mystery Compendium of the Catechism of the Catholic Church, 296". Vatican.va. Retrieved 2012-09-20. ^ "Catechism of the Catholic Church, 1421". Vatican.va. Retrieved 2012-09-20. ^ "Catholic Apologetics on Catholic Truth – Penance". Catholic-truth.info. Archived from the original on 2006-03-03. Retrieved 2012-09-20. ^ "Celebration of the Christian Mystery Compendium of the Catechism of the Catholic Church, 302-303". Vatican.va. Retrieved 2012-09-20. ^ "Celebration of the Christian Mystery Compendium of the Catechism of the Catholic Church, 304-306". Vatican.va. Retrieved 2012-09-20. ^ "Catechism of the Catholic Church, 1459". Vatican.va. Retrieved 2012-09-20. ^ J.A. DiNoia et al., ''The Love That Never Ends'' (Our Sunday Visitor Publishing 1996 ISBN 978-0-87973-852-5), p. 69. Books.google.com. Retrieved 2012-09-20. ^ Paenitemini, Chapter III A. ^ Paenitemini, Chapter III, 1.1. ^ "Pastoral Statement on Penance and Abstinence". www.usccb.org. ^ 1983 Code of Canon Law, can.1253. ^ "Penitential Practices for Today's Catholics". www.usccb.org. ^ Baba, Meher (1995). Discourses. Myrtle Beach: Sheriar Press. p. 44. ISBN 978-1880619094. Wikimedia Commons has media related to Penance.